Recently Hackers Release and New Interface of WebLOIC, ie. for Android Mobile in the form of an Application named “LOIC para Android by Alfred”. 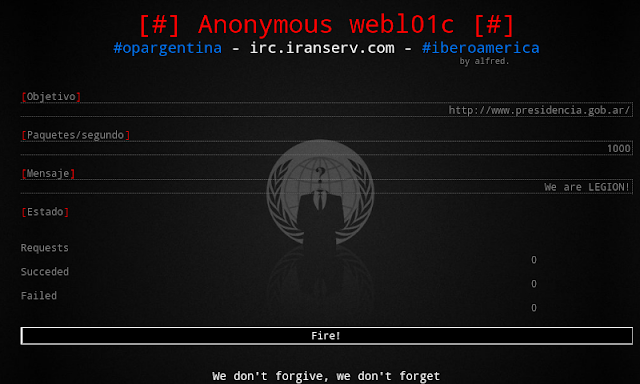 They Spread this tool via Anonymous social network accounts to execute the new attack in Various Anonymous operations against Argentinian government - such as #opargentina #iberoamerica. This Application is Available to Download here.